Falathim, Polish World of Tanks Community Manager, conducted a Q&A session exclusively with our friends from Dom1n.com last Friday. Dom1n was kind enough to make a resume with all the information and I’ve now had a bit of time to translate it. The techtree will not just feature Medium tanks, there will be other branches. No plans to introduce Polish artillery. There is still an idea to change the nationality of the Rudy tank, but no final decision was made yet. Balancing tanks take place in a cycle that takes up a few months. First relevant data needs to be collected, not just Win Rate, then it’s checked to see what’s the cause and only after decisions are made on that basis. It’s possible that Object 252U/Defender will come back to the EU Server. The reason why it wasn’t sold before, it’s because of EU players opinion is definitely negative about the tank, so a decision was made to not re-sell it for now. Japanese tank destroyers might come, but not anytime soon. Probably new portraits of crewman will be added during the crew revision. There plans to introduce new Czechoslovak tanks this year, but it’s not set in stone yet. Italian techtree will most probably come before the Polish techtree. Polish techtree will resemble a Czechoslovakian techtree in the number of tanks, rather than the Japanese. Players shouldn’t expect a Hungarian tech tree or any other tree in the near future. Wargaming is currently focused on the Italian and Polish trees. No plans to reduce the T110E5 commander hatch weak spot. New Ranked seasons should appear faster than the previous ones. For now, the Polish techtree will consist of just one branch, for now, high tier vehicles are a problem. T-55AM Merida or early prototype is unlikely to appear in the game – it’s too modern. Wargaming found a something which few players know about it for the Polish techtree. Fiat 2000 won’t be coming to the game. Dragon’s Ridge was an interesting concept but it didn’t work. Playability was bad, the terrain was too much slopped, long flank routes and it was too small. There are plans for penalties for SPG who drown on purpose. There is a chance the next marathon will give players the opportunity to choose their prize, but this isn’t set in stone yet. Tanks with preferential MM will most probably receive buffs and their MM changed so they can face Tier X.
Wargaming doesn’t want to make these tanks overpowered after the changes, but instead to make them play nicely with the new MM. Polish Community Contributors have little or zero impact on WG decisions. There aren’t any plans to introduce the Strv 81 without the Sabaton camouflage, for now. Experience for blocked damage will not be introduced for now. The new Soviet Tier X, after T-10 and Object 430 II, will be introduced after Update 1.0. Changes in the Crew system will be more than cosmetic. Studzianka’s map will appear sometime after the introduction of Update 1.0. There is a possibility to introduce a Soviet turreted tank destroyer branch, but no plans for now. There are no plans to introduce amphibian vehicles in World of Tanks for now, maybe in the future. Polish tanks are supposed to stand out with something special, just like the Americans have strong turret armour, for example. Bonds will not be coming to the Premium Store. There is a possibility to compensate players in Gold who own premium tanks with preferential MM, if they don’t like the changes, but this isn’t final yet. Where is the important question? 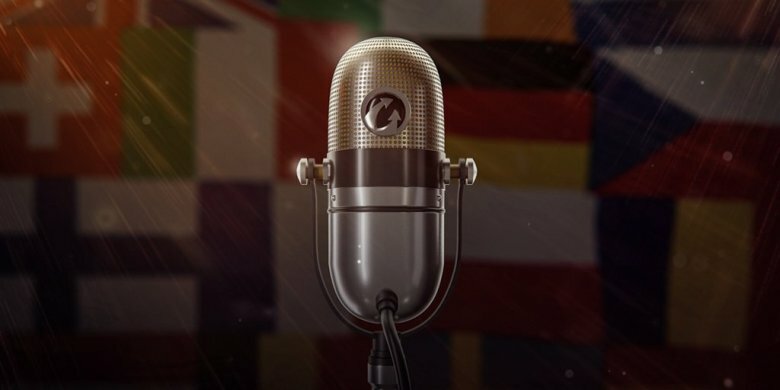 Pl, CZ & RO will finnaly get their own server? why , lol . cz and pl i hope bcz they are bad players . What to do with another server? In nowdays server population reach 130_150k of players. Both eu servers can handle about 200_220k players? Why should wg invest in a new server? Marco s and Cristian Dinca, u should really take back what you just said because the countries you just mentioned are actually the ones with the most PRO players as well…. look at esl, look at the top 10 clans, there aren’t many other countries which are able to make a top 10 clan with just 1 nation. Im front the netherlands and we can barely make an 12 player pro team for esl… because every good players knows each other and some won’t work together. I really do not think there should be a new server because those countries play worse than us… they are doing much more at the top of the list, and obviously also have much more at the bottom of the list…. If they let you choose the reward for marathon I hope they give you a option to do the marathon more than once so you can get ’em all. Then the marathon would just lose its meaning… If they do something like that, would most probably be like Clan Wars, where you can pick one tank every time. There are some nice things to look forward` particularly new CS branch and options for marathons – there might be some tanks I would be interested in but I can imagine that wouldnt be popular. USSR turreted TDs would be nice addition but I would rather see things like UK LTs that are eagerly expected on forum, old FTR blog ect. for … 3 years? or so. aka WG is making something up. So you’re telling me theres a chance? looking forward to taking apart that Obj.705A with my TOG II* or Valentine II. Tier 8s always face tier 10 in divisions now…. BRILLIANCE! Regarding the prem MM tanks.. Why not make like an extra gun option ? On for example the is6. If you choose to use the standard 122mm gun, you get prem MM. And if you choose to use the upgraded 122mm gun you get normal MM ? M103 has also very very good turret armor… NOT. It can be overmatched or shot into the hatch. I dont understand! First it’s said that the Defender wont be coming back, now it’s possible. I’d really like to have it a à Crewtrainer because IS6 is unplayable.